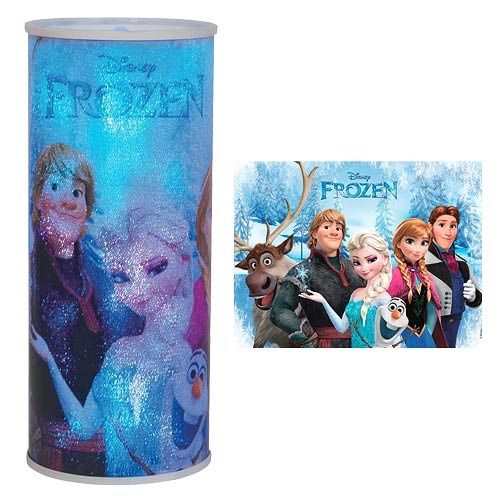 Warm up your home with the Disney Frozen Characters Cylindrical Nightlight! Featuring Elsa, Anna, Olaf, Kristoff, Sven, and Hans, fans of Disney's Frozen will love to watch as the light changes colors 7 times! Crafted from plastic, this unique Frozen light requires 4x AA batteries (not included). Measures approximately 12-Inches tall x 5-Inches radius, Ages 14 and up.